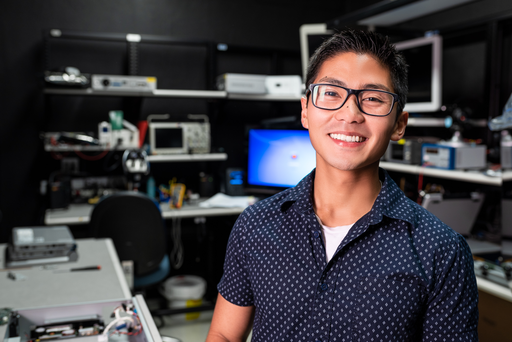 We're proud to highlight our dedicated employees like Associate Test Engineer Kenny Cunanan. 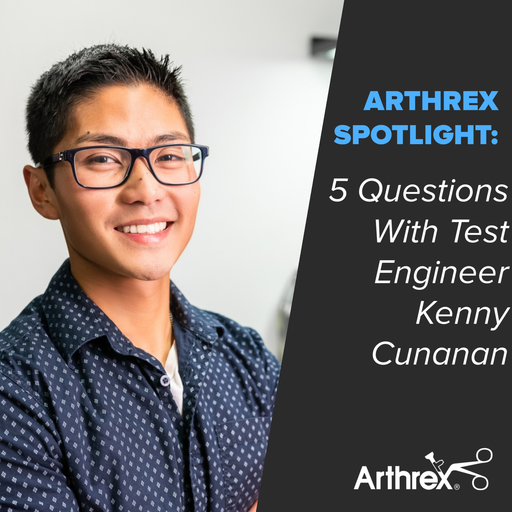 Kenny, who is from New Jersey, first learned about Arthrex when he was earning his bachelor’s degree in biomedical engineering. He continued to follow company news and innovations throughout his undergraduate career and in 2017 he accepted a Test Engineer internship with Arthrex. He is currently working on his master’s degree in biomedical engineering and was promoted to his regular, full-time position of Associate Test Engineer this past spring. Read on to learn more about Kenny’s Arthrex experience. What does a typical day at Arthrex look like for you? My days here at Arthrex consist of verification and qualification testing of existing products as well as new ones. I also write test protocols, analyze data and develop technical reports. I really enjoy the creative aspects of my role. It’s also exciting that I get to work with new products before they’re released. Ever since I first read about Arthrex in college I’ve been following the company’s latest innovations and now I get to see them firsthand. What has been a highlight during your time at Arthrex? Having the opportunity to help with new product development has been the most exciting thing to me. It’s enthralling to see and be part of the process of turning something that was once a concept into a tangible device. What is the best advice you’ve received throughout your career? Never be afraid to ask questions or provide input. There’s no such thing as a stupid question and we are all learning every day. I like to work out by running, boxing and doing CrossFit. I also play the bass guitar, enjoy reading and love trying to find the best places to eat. Want to join the Arthrex team? See all open positions.